Kyouko Kasodani (幽谷　響子, Kasodani Kyouko) is yamabiko youkai that embodies mountain echoes and is able to reflect sound waves. She is a recent arrival to Myouren Temple; with mountain echoes no longer seen as a strange, inexplicable phenomenon, she decided to enter the Buddhist discipline. She now serves the Temple as a priest in-training, and is also responsible for cleaning duties and confronting trespassers. Kyouko first appeared as the second stage midboss and boss in Ten Desires. Kyouko is a cheerful, dutiful, and energetic girl who reminds the heroines of the rules before attacking them. Her ability to scream out her remarks cheerfully is perceived as either unnerving or unsurprising in Gensokyo. However, she is somewhat timid, and when she runs into a mountain climber she'll flee before shouting anything out. Sometimes she can be spotted mumbling sutras to herself, so despite her well-behaved appearance, she may be under some stress. 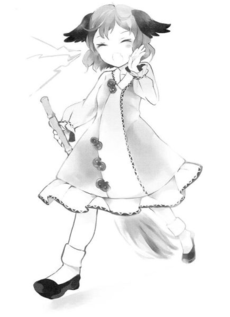 This ability comes from her species as a Yamabiko and is very compatible with reciting Buddhist sutras, but it can also be used offensively: by reflecting sound several times, Kyouko can completely save it up and is able to create danmaku made of compressed air, which are then loudly scattered around with seemingly enough force to be lethal. In-game, this ability is represented by visible barriers that reflect and then release Kyouko's danmaku. The barriers themselves are harmless, but she can trap her bullets inside the field and increase the density of the danmaku, where unfortunately for her some bullets are directed away from the player. The reflection itself alters the trajectory of bullets so that they lead to sudden and unexpected attacks. In her sprite's motion when she attacks, she places one hand close to her mouth as if she was about to shout. Kyouko is currently a Buddhist priest-in-training at the Myouren Temple. Her current training is apparently to sweep the main gate every morning. She also recites sutras as the other priests do, but because she's inexperienced, it is loud and difficult to listen to. It may also be because she doesn't actually know what they mean – she's only repeating what she hears other priests say. Her daily activities at the Myouren Temple, however, leave her quite bored, and as a result of her dissatisfaction with her training, she has formed a punk rock band with Mystia Lorelei called Choujuu Gigaku. Byakuren Hijiri is not pleased with this development, and in Symposium of Post-mysticism promises to punish Mystia for being a bad influence. Her surname was incorrectly written as "Kasoya" (another possible reading of 幽谷) in both the demo and the first release of Ten Desires, but this was later fixed in version 1.00b. In Ten Desires' official art, Kyouko has teal colored hair and eyes along with yamabiko ears. She wears a long pale pink shirt with teal flower-shaped buttons and a white dress below it with black trim. It is stated in Symposium of Post-mysticism that she has a short tail. She also carries a bamboo broom. During the events of Ten Desires, Kyouko welcomes every heroine that comes to the Myouren Temple with Danmaku in attempt to drive off the intruders. However, she is unsuccessful and allows them to investigate the graveyard behind the temple. Kyouko made a background cameo appearance in Hopeless Masquerade on the Myouren Temple stage. She is seen sweeping on the stairs. Kyouko was depicted as one of the youkai at the Myouren Temple that was attacked by a strange "black mist", later revealed to be Suika Ibuki. Among the others at the Myouren Temple, she is fond of Mamizou Futatsuiwa, whom she says will listen to any of her concerns. Other information is quite sparse, but it is assumed that she knows the others living at the temple. Together with Mystia they have a band called "Choujuu Gigaku". 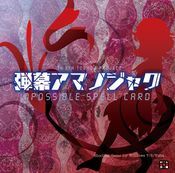 Kyouko with Mystia performing as the band "Choujuu Gigaku"
When Kyouko is ready to launch her next wave of attacks, her sprite is animated to make a shouting motion. Her ears vibrate extremely fast, almost like a blur. 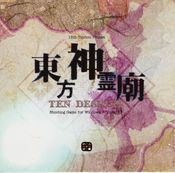 Kyouko was featured on the official demo CD of Ten Desires. Both of the sayings on her sprites, "gya-te-gya-te-" and "ze-mu-to-do-shu-" are from the latter part of the Japanese version of the Heart Sutra, a very common sutra in Mahāyāna Buddhism. You may have loudly shouted "Yahoo-!" when climbing a mountain. If you hear a "Yahoo-!" in response, then it's a yamabiko at work. She lives in the mountains, and when she hears a joyous voice, she replies back with a loud yell. A youkai that loves to join in on the fun. But these days, superstitions like "Yamabiko (mountain echoes) are just sound waves being reflected back to you-" have become commonly held. Realizing the emptiness of secularism, she decided to enter the Buddhist discipline. Her ability works well with reciting Buddhist sutras. It is her everyday work in the mountains. And by doing so, she now inspires fear as "a sutra-reciting voice coming from a mountain where no one is present", so she was able to retain her place as a youkai. This page was last edited on 10 December 2018, at 01:00.